Spicy Sriracha Snack Chex Mix is one of those recipes that’s a snap to make and quick to disappear. It’s perfect for when a whole lot of munching is going on. Spicy Sriracha Snack Chex Mix is one of those recipes that are so addicting once you get started munching. Of course, you have to follow a pretzel with a cracker with a goldfish and then an almond until you can see the bottom of the bowl and wonder how in the heck that happened! It’s finally cooling off after a too warm summer, and our favorite football team is on the field. We love inviting people over to watch it and I’m always looking for munchies to snack on. Our Freaky Friday Fall edition was perfect timing. The Freaky Friday blog hop is a group of bloggers that are secretly assigned each others’ blogs from which we choose a recipe appropriate for the theme. The blog that I was given was Take Two Tapas. Take Two Tapas is the brain project of the amazing Jennifer. Jennifer started her blog because she enjoyed grazing on several different dishes instead of filling up on a big plate. I KNEW that the biggest problem with picking a recipe was picking just one recipe! She has a ton that works for tailgating or entertaining! Her recipe for Spicy Sriracha Snack Chex Mix was exactly what I was looking for. Other contenders were her Wasabi Ginger Cheese Ball and her Extra Cheesy Pepperoni Pizza Skillet Dip. She is an amazing mixologist too. Check out her 3 Ingredient Margarita Beer Shandy Cocktail. She has a tailgating checklist available right now so run on over and pick it up. Spicy Sriracha Snack Chex Mix is one of those recipes that's a snap to make and quick to disappear. It's perfect for when a whole lot of munching is going on. In a large bowl combine all of the snack mix ingredients. In a medium-sized bowl, combine all of the sauce ingredients. Whisk to combine. Pour over the snack mix and stir until thoroughly coated. Bake for 45 minutes, stirring every 15 minutes. Allow to cool completely. Just thinking of these Spicy Sriracha Snack Chex Mix being all lonely on the counter while I was going through my photos for this post had me dashing (I dash) to the kitchen for a bowl. Just in case I lacked inspiration you know. John must have been looking for inspiration when he was hogging this mix after lunch too. Here are a few more recipes perfect for tailgating! Here is a list of all of this Freaky Friday Participants and what they made for our fall round!! I can’t wait to dig into these recipes. They’re always guaranteed to grace my table! Currently in the oven. My house smells SO good! Can’t wait to watch the Cougs play while snacking on this mix. If it tastes as good as it smells I’ll be making a couple more batches for our New Years party! Thank you, Brooke! I sent some of this to work with my husband and one of the single guys asked for the recipe and now makes it for himself. I got a real kick out of that. I hope everyone loved it! My husband hosts a card game every other month and I know he and his fellow card players would quickly empty a bowl of this spicy mix. They’ll love it Karen! We sure did. I would LOVE a bowl full of that! Anything sriracha is a win with me! Thank you, Michelle! We loved the stuff too! My daughter and I are Sriracha OBSESSED so you KNOW this is happening at our house!!!! Thank you! John practically drinks the stuff so we loved this snack too! Thank you Justine! I agree! Julie, I was so excited to see that you got my blog this time! I knew you would love this snack mix as you are a muncher like me. 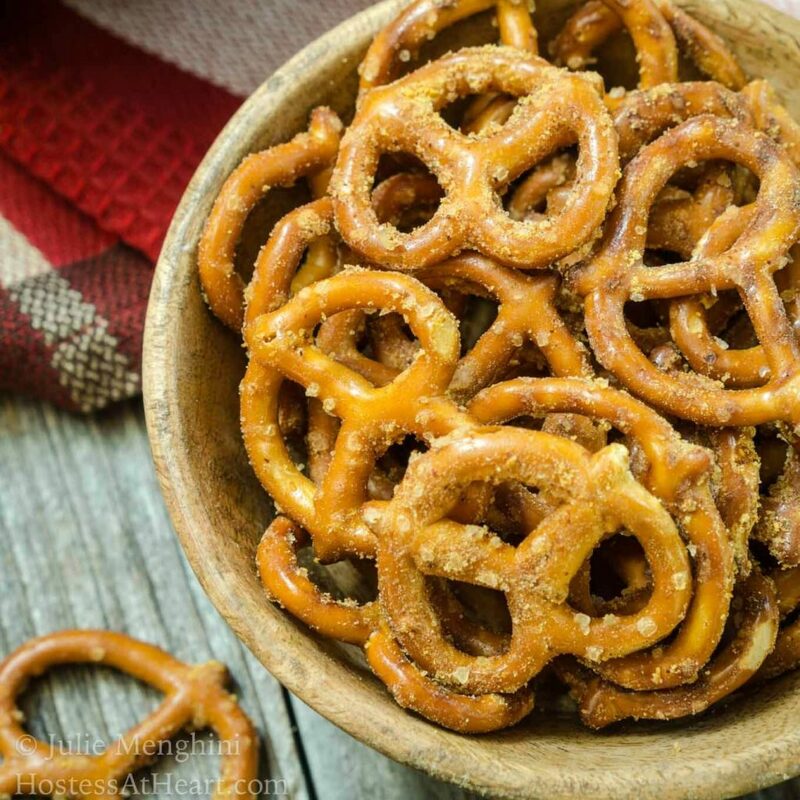 I can’t wait to give your pretzels a try as we are addicted to all things pretzels in my house! Thank you, Jennifer! I was very excited that I got your blog too and had a heck of a time picking. I’m always looking for snack recipes and we loved this one! This would disappear so quickly at my house! We love everything in this! Thank you, Madi! I had to fight John for the bowl and it sure didn’t last long. I have a real problem with snacks like this and I honestly believe that this combination could land me right in rehab; and all to no avail. WOWZA, this one looks super good; fantastic job once again! LOL Dan, I understand the rehab comment. I can often have a little bit and then John snarfs up the rest but I fought for my share of this one! 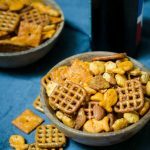 My husband and son are going to love this chex mix snack. 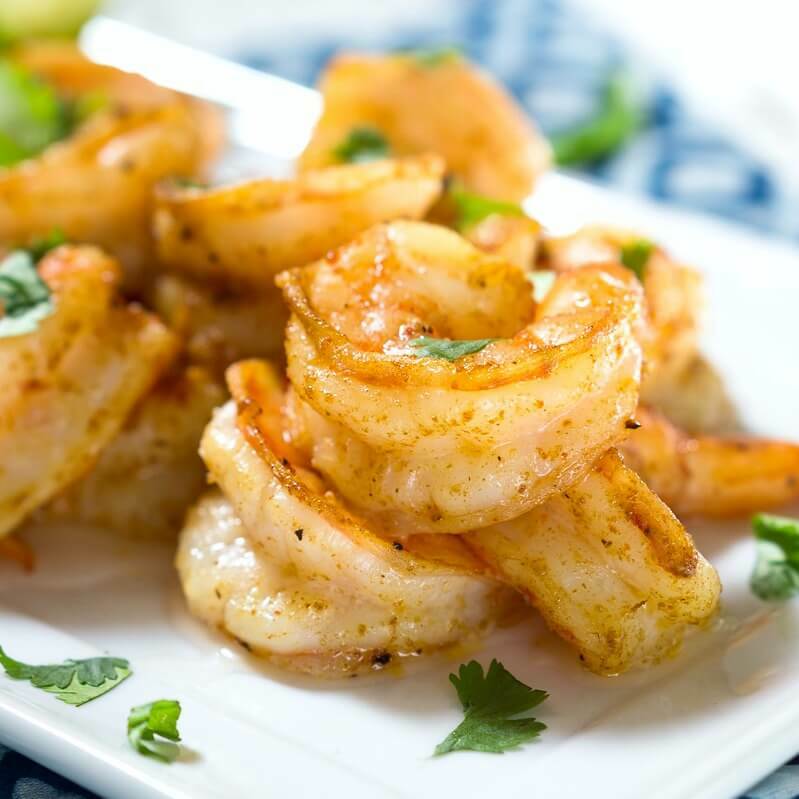 Sriracha is one of their favorite spicy flavors – perfect for a game day snack! Thank you Sandra! John and I loved this one and I loved it because it was so easy to make! 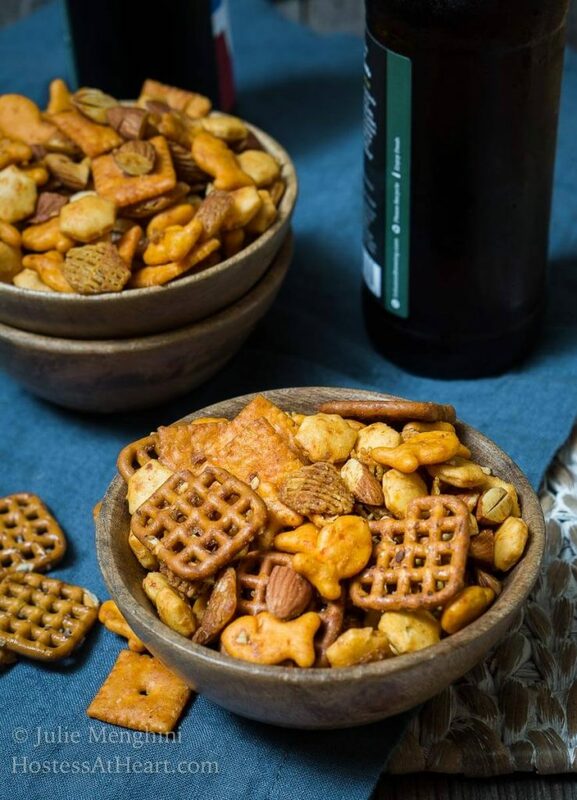 All I need is a good movie and a bowl of this snack mix and I’d be set for the weekend! Thank you! I love how you roll. That would be perfect in my book too! I’m totally making this next weekend. My son LOVES anything with sriracha! We loved this snack Candi! Thank you! This will be awesome while I watch the Seahawks game today! Go Hawks. But seriously, this looks and sounds delicious! Thank you, Debi! We loved this one and it’ll be at a few of our tailgating parties! Tasty snack to enjoy while we are watching Green Bay tomorrow, <3 this – just so hard to use self control but it's just so delicious!!! Thank you, Debra! There is no self-control when it comes to snacks and me Debra! This one was no exception. So yummy! Thank you Lori! I think munching was much more enjoyable then watching the big game tonight! Perfect with an ice cold beer and a football game!! Fantastic choice!! I love the way you roll Michaela! Thank you! 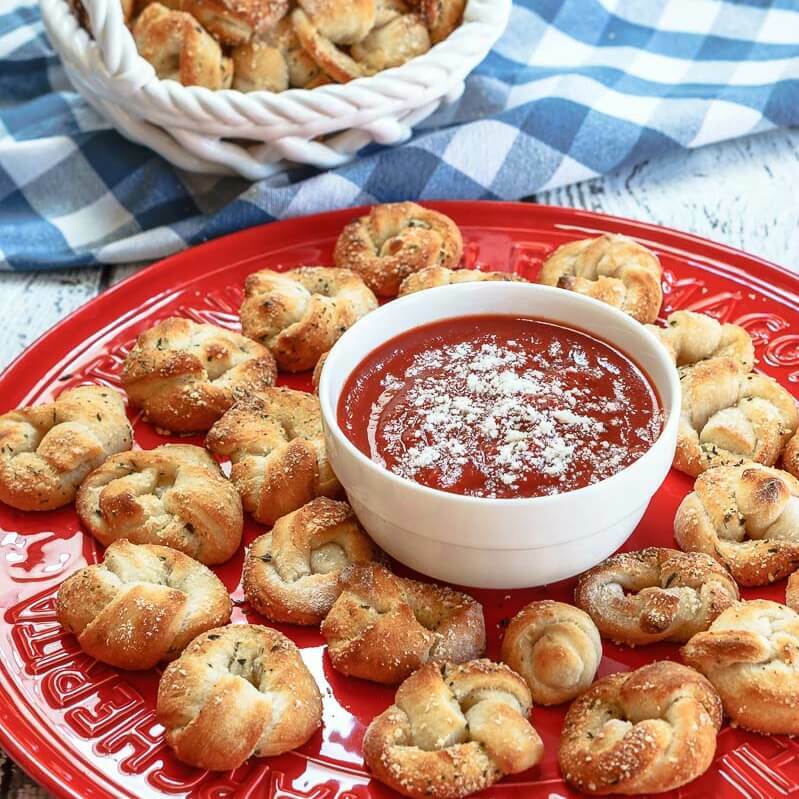 This looks like a perfect snack for game day! I agree! Thank you Lisa! I have a number of snack mixes but yours has a lot of new and spicy ingredients. 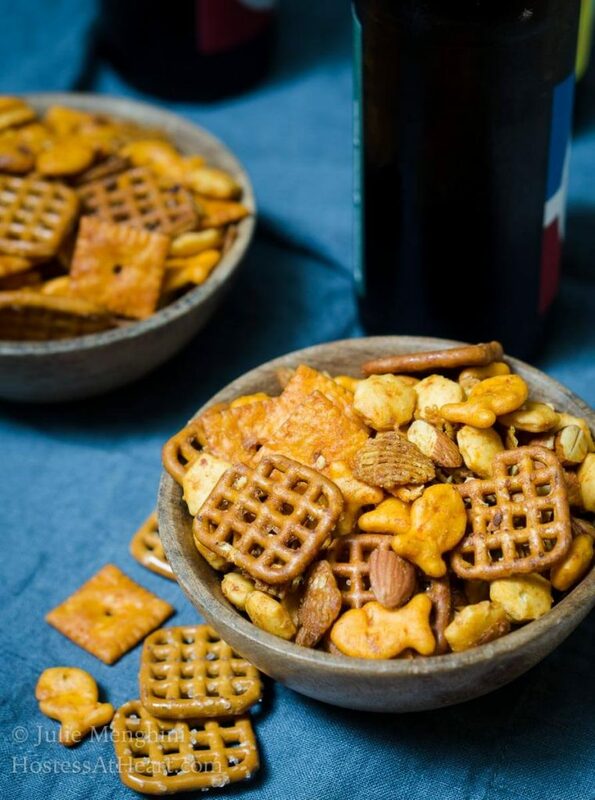 I love what you can make with those Chex mixes. I made one using oyster crackers, maple syrup and Sriracha but yours is over the top. Love all those seasonings. Can’t make it for the big game tonight but there are more games to come. GO BLUE! I love snacks like this too Judi! Sriracha and maple syrup sounds amazing too! The way we’ve been playing tonight I think snacking is a better idea than watching the game! This one is right up my alley! I love chex mixes and I love the kick of the seasoning on this one! Perfect weekend snacking for sure! Thank you Angela! I’m a snacker and I love recipes like this! I’ve never thought of making my own snack mix! Such a great idea, the flavors sound wonderful and nice and easy too! Thank you Nicole! It is so addicting. I’m a super snacker and these snacks go over so well at get-togethers! Fun! 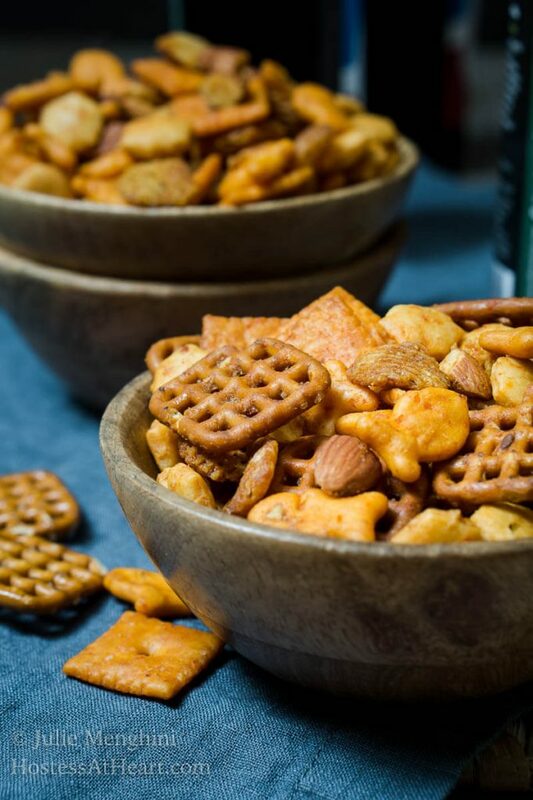 This is a perfect spicy snack mix. Even if you don’t watch football! Thank you Mimi! I have to say that I enjoy snacking a little too much, especially after the way our team’s been playing! This would be a great snack mix to have around on game day! Thank you Lisa! We really enjoyed it! Oh Loretta, I think we’re more successful snacking than winning the big game right now LOL! This mix was really yummy and one of those that was hard to pass by without grabbing a handful! I’d eat all of this by myself. I have to stay away from snacks like this. I have no self control! Thank you Debbie! I did a pretty good number on it myself I had to push John out of the way to get my share.